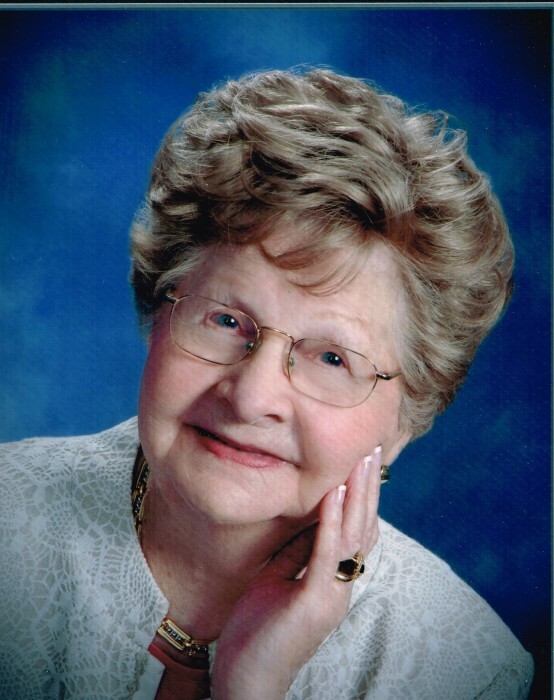 Jean (Genevieve) Mayak, a longtime resident of Elyria, Ohio, passed away peacefully on March 28, 2019 at Trinity Grove in Wilmington, North Carolina. Born on June 11, 1917 in Lorain, Ohio, she was the third child of Ignatius and Veronica Sender formerly of Lorain, Ohio. Jean married Andrew Nicholas Mayak on August 20, 1938; they were married 58 years. Jean and Andy enjoyed traveling, gardening, golfing, bowling and playing cards with friends. Andrew preceded her in death in 1996. Jean worked as a Bookkeeper and Dental Assistant. She was a member of St. Vincent de Paul Church, Altar and Rosary Society, Our Lady of Peace Circle and Seeds of Hope. For 15 years, she volunteered for the American Cancer Society and American Red Cross in Elyria. As a gifted China painter and member of the China Painters Association, she made many beautiful pieces which are treasured by her family. Genevieve was predeceased by her brothers: Chester Sender formerly of Huron, Ohio, and William Sender formerly of Boca Raton, Florida and John Sender formerly of Amherst, Ohio and by her sister Helen Szarek formerly of Lorain, Ohio. As a beloved mother, she leaves behind her daughters, Linda (Charles) Perunko of Wilmington, N.C. and Andrea (John) Mueller of Cary, N.C as well as her sister, Dolores Yepko of Vermilion, Ohio. As Grandmother of four granddaughters, she will be lovingly remembered by: Christine Sulzen, Laura Priest, Tanya Isaman and Angela Stiffler. She was loved and will be missed by her 12 great grandchildren: Stephanie Genet, Maria Sulzen, Nathan Genet, Ashely Priest, Michael Sulzen, Isaac Isaman, Allison Priest, Anna Sulzen, Andrew Priest, John Sulzen, Catherine Sulzen and James Sulzen. Jean’s legacy has been Love, Love of God, Love of family and Love of neighbor. Her charismatic smile, quiet loving way and warm, open heart touched the hearts and lives of all who knew her. A Memorial Mass will be celebrated in memory of Jean on Saturday, April 13, 2019, at 10:00 a.m. at St. Vincent de Paul’s Catholic Church, 41295 N. Ridge Rd, Elyria, Ohio 44035 with Rev. John C. Retar presiding. Burial will follow at Calvary Cemetery, Lorain. Reception will follow at Dovin Funeral Home, 2701 Elyria Ave., Lorain, Ohio 44055. Memorial Contributions may be made to St. Vincent de Paul Church. Dovin Funeral & Cremation Specialists handled the arrangements.